The “movable do” system is based on the understanding that the names given to the notes serve as reminders and aid the singer in correctly establishing the distance between the various scale degrees. 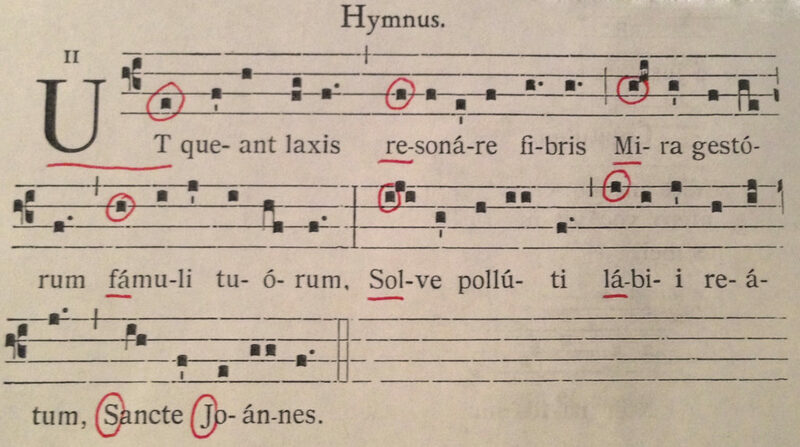 The syllables are: “do re mi fa sol la ti”. In some common misrepresentations of this method, the seventh syllable is given as “si” instead of “ti”. The latter is obviously a better choice, since it does not reuse the consonant “s”. In the major-minor key system, central to the language of European art-music from 1700 to 1900, and still thriving in certain streams of popular music, chromatic alteration of the “natural” scale degrees comes about mainly because of modulation, in which the tonic note shifts to a new pitch, or else because of scale coloration, in which the new notes are used simply to vary the character of the prevailing scale without suggesting a change of tonic. When modulation is involved, the system tends to grow progressively more flexible in its application and, as the harmonic style itself, more complex. What we see above is that, for one thing, the “natural minor” scale, i.e. the official “relative minor”, uses La as its tonic. Even for individuals raised more or less exclusively on a diet of major-minor music, it can require some mental discipline to hear “la” as the tonic note, and to hear “do” as the minor third of that scale. Beyond these two, basic to most students whose experience with the Western tradition is often confined to music written post-1700, the remaining modes may require even more substantial perceptual overhauls at the outset. For instance, in the Phrygian scale, “do” functions as the flattened sixth degree, and so on. Another reason why it must be considered a blunder to designate the seventh note of the major scale as “si” rather than “ti” should now be clear. 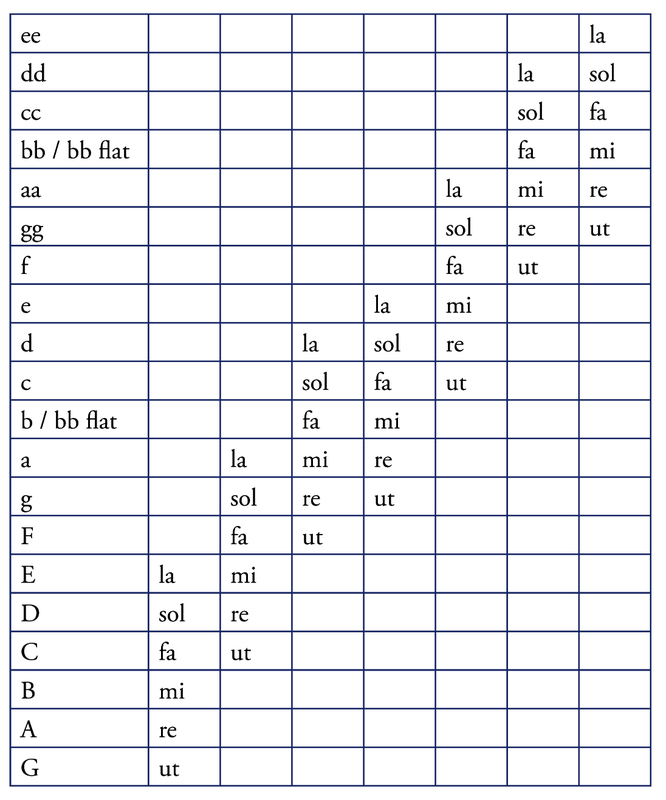 The syllable “si” — “sol” raised by a semitone — occurs as the raised leading note of the minor scale, not the major. This confusion of nomenclature is again probably a result of the incorrect notion that, in all scales, the tonic is “do”. It is not, and never has been. On the surface, the “fixed do” method appears to be a model of simplicity. All the singer is required to remember is that the pitch “C” is “do”, “D” “re” and so on. One of the much advertised virtues of “fixed do” is that it contributes to the development of absolute pitch. Quite apart from the fact that this claim has never and cannot ever be proven, and quite apart from the foreshortening of historical awareness entailed in accepting A 440 or any other frequency as a standard, the “fixed do” system is so ridden with inconsistencies that it turns out to be no system at all. The problem: what to call sharps and flats. Operating on the absolute pitch principle, each note should have its unique name. Thus “C” would be “do”, “C- sharp” would be “di” (one supposes), “C-sharp-sharp” would be “di-i” (one supposes), and “C-flat” would be “da”, and “C-double-flat” would be “da-a”. So far as I am aware, no one has ever seriously advocated such a system, or anything like it. Commonly, adherents of “fixed do” accept a sort of compromise with absolute pitch nomenclature, such that any C, whether natural, flat, or double sharp, is named “do”. This adjustment surrenders any claim to pitch-specificity that “fixed do” might have had — since “do” is no longer “fixed” — and has perhaps contributed to the backtracking of many teachers of “fixed do”, who now inform us that absolute pitch is irrelevant. But more than that, the use of the same syllable for several different sounds, under the conditions imposed by “fixed do”, makes it impossible for anyone to apply the system usefully to any but the simplest melody in the C major scale. This problem may be encapsulated simply by looking at “mi-fa”. In the “movable do” system, these names always imply a semitone. In “fixed do”, they might be not only E-F, but also E-F-sharp and E-flat-F-sharp. While we cannot doubt the ability of certain singers to learn any melody they wish with any words they feel like singing, clearly the use of these “fixed do” syllables has no demonstrable or linear connection with the cognitive process itself. But things become even murkier when we reflect on the fact that, for many defenders of “fixed do”, absolute pitch is irrelevant. Once this particular genie is let out of the bottle, the “fixed do” user is left with a notational symbol only, and nothing in terms of sound at all. That an approach to musical perception so patently at odds with the very basis of musical experience itself — sound — can have found adherents indicates the degree to which many musicians, perhaps because of an addiction to notation, have forgotten that visual and aural information are fundamentally distinct. The need for a system of mnemonic pitch-names and rhythm-names as a means of developing and controlling the musical imagination has been widely experienced, especially among those groups who have evolved sophisticated musical languages. Instances may be found in China (see the CD “Buddhist Music of Tianjin”, Nimbus NI 5416, track 7), Indonesia, and some African drumming traditions. But the most obvious instance is India, where the average musician’s mastery of “sargam” puts to shame anything found in his/her Western counterpart, and where the language for articulating rhythm — the basis for the rather desiccated “taka taka” business attempted by many Western teachers of musicianship — lies well beyond the range of Westerners, including composers. No doubt, part of the Indian musicians’ strength lies in the fact that their tradition is not based on notation, so that they rely much more than the Westerner on their ear alone. In the West, because access to musical experience is mediated through printed documents, and machinery such as the piano, the average musician’s mind has become flabby — or stupid, if one prefers. And it is regrettable to have to suggest that “fixed do” has aided and abetted that collective decline. The terms “movable do” and “fixed do” go back, as far as I know, to controversies over music pedagogy which took place in England a century or so ago, involving John Curwen and others. The details of what Mr. Curwen and friends were up to are of far less interest to me than the fact that the principles embodied in “movable do” or “tonic sol-fa” or whatever may be traced back in European music for some eight centuries before “movable do” was so named. Partly because accurate information regarding the history of sight-singing systems is evidently in short supply among both friends and critics of “movable do”, the following paragraphs offer a brief summary of what happened. Guido’s six-syllable method, ut re mi fa sol la, became the basis for “hexachordal solmization”, a method of singing according to overlapping sets of six notes each, which was the sole system used in Europe for the next five centuries, and which continued well beyond that date, even into Mozart’s time. With only six syllables, even to sing through a simple scale, as we call it, required some adjustment. The nature and technique of this adjustment may be described in a number of ways, but one particular dictum which comes up again and again in treatises of the period is “Mi et fa sunt tota musica”. This little rule of thumb attempts to reduce the business of sight-singing to a single cognitive principle, namely that Mi and Fa, wherever they are found, are always to be sung a semitone apart. EXAMPLE 1 shows the entire repertory of officially sanctioned pitches known to sixteenth-century musicians, set out in a “gamut” diagram (the origin of the term “to run the gamut”) of seven overlapping hexachords. Singing an actual piece of music with syllables entailed the capacity to negotiate one’s way from one of these sets to another, as the incidence of semitones required. One of the remarkable things about the gamut is that, in generating its various “ut’s” on “G”, “C”, and “F”, and their octaves, it adumbrates the concept of the cycle of fifths and the modulatory schemes associated therewith, by several hundred years. Clearly, the ability to negotiate this sort of music, on either the compositional or performance sides, was contingent on a complete flexibility of perception. The written notational symbol had no fixed association whatever with either a specific solfa name or a specific pitch. “ut’s”. But Bach provides us with even more direct evidence of his affiliation with the old system, and the fact that he did not in any sense associate a given syllable with any particular letter-name. The 1722 title-page of the Well Tempered Clavier reads: “Preludes and fugues, through all the tones and semitones, both as regards the tertia major or Ut Re Mi, and as concerns the tertia minor or Re Mi Fa.” (see The Bach Reader, p.85). Bach is using the solfa names to distinguish between what later came to be known as the major and minor keys. The terms back to sixteenth-century discussions of the quality of the modes according to whether they possessed major or minor third degrees. For Bach, any notated pitch could bear any name. Context and relationship were all that mattered. It would perhaps be unfair to characterize any idea, however ill conceived, as an “historical accident”. However one chooses to estimate the “fixed do” method, it remains safe to say that the notion of assigning the solmisation names to specific pitches and notational symbols arose in the nineteenth century, with much of the initial impetus occurring in France. And although I am no economist or cultural historian, I think that much of the reason behind the spread of “fixed do” must be sought in those broader realms, rather than purely pedagogical or music-theoretical ones. At least this theory fits the facts. The nineteenth century saw a dramatic shift in the patronage system for music, a shift in the economic basis of its support away from powerful oligarchies towards an ever-expanding middle class. Both musical styles and musical organizations developed in response to this changed environment. An increase in the size and spectacle of productions, in the size and number of professional groups, and in the availability of instruments and publications intended for the huge market of “unwashed” amateurs generated, collectively, a climate in which sales-driven expediency became the order of the day. For the professional instrumentalist, what was needed was a type of training consistent with the goal of producing marketable product with a minimum amount of costly rehearsal. For the amateur, the goal was convenience, and any teaching method or device consistent with creating that sense of easy access to music was thus supported. What links the situation of the professional with that of the amateur is the use of a mechanical device — a piano, or violin, etc. — as a medium for musical experience. If instruments were, at some point in their mythical past, considered to be extensions of the human imagination, it would be fair to say that, for many, they gradually came not to extend that imagination, but to stand in for it, and ultimately to replace it altogether. A second link, perhaps more critical in discussing the nature of musicianship and the economics of music-making, was the use of notation. In an age when the best performers and composers were known for their improvising, the vast majority of career musicians were relegated to the role of re-creators, unthinking reproducers of printed data. Notation thus constituted a second medium, another layer through which the musical mind was not only disciplined (a good thing) but also enslaved (a bad thing). “Fixed do” was a willing accomplice in this process. As we have seen, the system makes no demands on, and has no connection with, the cognitive and “re- cognitive” faculties of the aural imagination. Rather, the “fixed do” names served as a sort of rough-and-ready cipher or, if one prefers, a system of general analogues intended to inform the instrumentalist about which key to depress or how long to make a vibrating string. As a means of training the imagination, “fixed do” is of no use; but the imagination is not what its early advocates were interested in. A consideration of the present-day situation should begin by pointing out that the dynamics set in motion in the last century continue to operate. Clearly, nowadays, the average music lover’s “convenient” access to music comes in the form of a CD player rather than a piano; and with the steady decline of orchestras and the ossification of the canonized repertory, instrumental sight-reading may be a less critical skill than it once was. With respect to “fixed do”, however, a newer impetus has come from the presence of a few illustrious adherents at some of the more prestigious schools. How this situation came about is a story in itself. Just as Russia, acting in the 19th century as a cultural tributary of France, tended to follow the French lead in musical pedagogy as in all else (hence the present activities of a number of dutiful “fixed do” trainers from Russia), so it came to pass that several Americans studied with a famous and highly esteemed pedagogue and “fixed do” disciple by the name of Nadia Boulanger. On returning to the USA, these people set up shop in a number of big-league American schools, where their status as composers tended to lend credence to their teaching ideas. Now, it may or may not be the case that Ms. Boulanger’s reputation as a teacher (and certainly as a conductor and historian) is due for some sort of revision, but I think there is another reason, beyond simple student-teacher loyalty, which supported the ongoing allegiance of these otherwise intelligent people to “fixed do”. That reason lies in the musical “language” utilized in the compositions they produced. As much as one may generalize, the musical style of these composers, and of much contemporary art-music, is atonal, highly complex and, for many, incomprehensible. Contemporary composers have worn themselves out fighting off charges that their so-called “language” amounts to little more than an overly rationalized set of decisions about what not to do. Questions of intellectual or philosophical integrity aside, the fact remains that the music itself is highly challenging, particularly for vocalists who are forced to operate without the mechanical devices available to their orchestral and piano-playing colleagues. “Fixed do” exerts an obvious appeal for such composers, who, as pointed out, are often concurrently responsible for teaching courses in sight-singing and musicianship at universities. Faced with a “language” lacking in any readily perceivable syntax, such as exists in the major-minor system, “fixed do” surreptitiously allows the beleaguered composer to fall back on a much lower denominator of perceptual sufficiency, whereby the most competent musician — and this holds doubly true for singers — is the one who most closely approximates a machine, with laser-like precision in timing and rigorously accurate intonation based on equal temperament and a pitch standard of A 440. All due apologies if this description seems a somewhat chilly one, but it often seems to me that, at its core, “fixed do” promises little more than a curious display of marksmanship, a display in which the syllables themselves have no cognitive role, and in which the music is dealt with as a sort of “intervallic sweepstakes”. What happens when you sing a melody at sight? In the “movable do” system, each note is named according to specific notions of cognitive economy, in response to considerations of harmonic structure, contrapuntal factors, and so on. 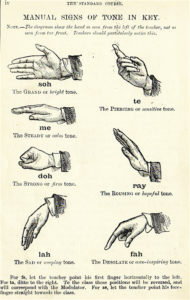 Since the “movable do” system attempts to draw on the musician’s prior experience of various voice-leading events and other types of musical relationships, the syllables used often reflect an important aspect of the composition itself. EXAMPLE 4, EXAMPLE 5, & EXAMPLE 6 clearly illustrate this sense of economy. All three contain passages of “real sequence” in which the same line is transposed without alteration to a different key. The “movable do” system mirrors this compositional device, and supports the analytical insight through which it is identified, by having the singer re-cycle the same set of syllables. In the “movable do” system, priority is given to the aural imagination over the visual, and to aural information over visual. The process of singing at sight involves relating the visual datum to a body of experience already active in the imagination and the memory. In a very real sense, sight-singing amounts to nothing more than the fluent retrieval of information, more or less the same thing that occurs when reading a printed language. Because the “movable do” system does not posit any visual analog, nor any particular hierarchy of pitches (since the tonic can be anything from “do” to “ti”), the musician has the opportunity to develop a wide range of “re-cognitive” skills. By separating the hearing of music from its visual representation, the “movable do” system reflects a very human aspect of music-making. How else to explain the mass popularity of the “Doe a deer” song some nine centuries after Guido secured the original rights to the idea? In “fixed do”, the process of singing is also evidently straightforward. One identifies the letter-name and assigns the syllable accordingly. The syllables do not respond to either chromatic inflection or harmonic context. Accepting the A440 standard for “la” (or not, if one regards absolute pitch as irrelevant), one then proceeds to sing by a sort of inchoate mish-mash of interval target-practice and harmonic second-guessing. Since the interval between “re-mi” may be anything from 0-5 semitones, the names given to the notes contribute nothing at all. Obviously the results can be ludicrous. EXAMPLE 7a/7b offers a well known ditty, notationally altered to bring out the best in “fixed do”. On a more serious note, EXAMPLE 8, the fugue subject from Bartok’s Music for P.S. & C., shows, from the point of view of aural-cognitive development (aka ear-training) just how unhelpful “fixed do” is. It is frequently stated that “movable do” is suited only for “simple (without- pejorative-intent) music” and no good for complex music. Of course, it is a little difficult to define “simple” in this case, but one might assume the absence of modulation, the absence of any chromaticism, the use of a single scale (probably major: a single “key” is often the term incorrectly applied) and a small range. Certainly, this view seems to inform EXAMPLE 9, which was used, presumably without tongue in cheek, by a University of Toronto music “fixed-do” professor in a privately circulated paper to demonstrate the sort of “simple” music which “movable do” is capable of handling. Astonishing. The example is poorly chosen, not least because it misses the very point it is attempting to corroborate. Surely, the “evidence” of the putative incapacity of “movable do” to deal with “complex” music should have been “complex” music, and not a little Irish song. More generally, the example suggests some unwillingness to acknowledge the centuries- old history of the “movable do” method, if not a simple ignorance of it (after all, the author of this paper was an artist, not an academic!). As already suggested, the application of “movable do” to highly chromatic tonal music can often produce compelling insights into both the work itself and broader aspects of composition. Real sequence is an especially clear case of this sort of thing, but there are others. In EXAMPLE 11, bars 9 and 11 show Bach’s repeated setting of the word “unaussprechlich”, or “inexpressible” when translated, on two diminished sevenths, the first a viid7 of C-sharp minor, the second a viid4/2 of F- sharp minor. By singing these two chords with the correct syllables, we discover that the diminished seventh is rather more than a stack of minor thirds. It is a contrapuntal event whose analysis (and hopefully whose notation) imparts to each of its components a very specific voice-leading directionality. For “movable do” detractors, the ultimate reckoning comes in the confrontation with atonal music. To be sure, part of the sense that “movable do” is utterly and completely unsuited to this repertoire derives from the ignorance of its critics of the historical background, and the rather blinkered notion that anything not atonal must be either major or minor — a chauvinistic view, from both the historical and cultural sides. This all seems pretty sensible, from a psychological point of view, since it does not commit the error of denying the student’s experience. To be sure, Edlund seems unaware of the possibility that a pupil might have experience with forms of tonality not based on the major/minor systems, such as anything from before 1600 or not by white Europeans like him. Similarly, he seems blind to the very important possibility that, in intoning a note as “do” one might very well be mentally cueing up its major scale, but not — and there is a world of difference here — its major “key”. But the general implication, namely that two notes a semitone apart, whether by Pope Gregory or Pierre Boulez, might better be sung as “mi-fa” than incorrectly as, say, a whole tone — especially if saying “mi-fa” helps to fix the notes in one’s mind — seems like a good one. Edlund’s use of the term “mutation” is also noteworthy, since it is precisely the same term, “mutatio”, which our old Medieval and Renaissance friends used to describe motion from one hexachord to another. I like to imagine that Edlund did not know this, although I suppose he should have, rather than choosing to suppress the information. It is my fantasy that the term came to him out of his meditation on the music. A long way from Guido d’Arezzo to Lars Edlund, but there it is. Taking our cue from Edlund, EXAMPLE 12 offers a Webern song as I teach it. There is a fair amount of room for alternate solmisation, but what you see there worked for me, and for some of my students, when I produced it. A couple of points of interest: the first eight notes might be fairly said to come from a D minor scale (there is even a V4/3 arpeggio in descent). The fact that the passage, for me at least, doesn’t sound like the key of d minor at all indicates that my own sense of tonality is conditioned by more than the mere palette of pitches. Note also that the name of one inflected note — the B flat at the end of line 2 — shows that I hear it as an A sharp, perhaps because the implicit B natural is integral to the E-e octave outlined in the tune. What would the custodians of atonality say? Am I allowed to imagine an acoustical frame E-B-e without instantly falling into the key of E major? Can it be that “fixed do” proponents are unaware of any other ways of hearing? “Fixed do” prides itself on being perfect for atonal music and therefore, adding a positivist bias, for everything that preceded it. The plain reality is that “fixed do” is equally unsuitable for all music. The basic problem is that, by avoiding any sort of analysis beyond the dull business of identifying the letter- names, “fixed do” denies the presence of any but the most rudimentary compositional syntax. By turning a deaf ear to the notion that our perception is determined by context on a number of levels, advocates of “fixed do” wish to suggest that their method is universally applicable. By suppressing any notion of context, they have arrived at the erroneous belief that their method is equally representative of all contexts, when the truth is that it represents none. This is the same sort of twisted logic which has produced another well known pedagogical dead-end, namely those “ear-tests” where one is expected to produce various intervals on demand. If “denial” is too strong a term, whatever connection may be said to exist between “fixed do” and actual musical experience is surely tenuous at best, confined, as I suggested above, to accidental-free melodies in the C major scale — n.b. not the C major “key”. Both clef reading and transposition will give the user of “fixed do” major difficulties. To begin, a clear distinction should be drawn between the use of the voice and the use of an instrument since, though related, there are different skills involved. Thus we have four overlapping areas to consider: i) Clef reading vocally; ii) Transposition vocally; iii) Clef reading instrumentally; iv) Transposition instrumentally. i) Clef reading vocally. It is necessary that the notational symbols be translated into letter-names at all times. The choice of the standard clefs avoids the fact that many more than these were actually used throughout history. But even given the usual limitation to four clefs (or not, as the case may be), the role of the “fixed do” names is highly problematic, because the relationship between the chosen syllable and the pitch is always an ambiguous one. ii) Transposition vocally. EXAMPLE 13 shows the English folk-song Lovely Joan (see Vaughan Williams’ Fantasia on Greensleeves). The tune is written in D dorian. What happens when a student of “fixed do” wants to take it up, say, a minor third, to F dorian? Do they change the solfa to match the new pitch level, or do they simply shift the tune, without changing the names? If the former, the end result is that they are still looking at a D, but now calling it “fa”. Is this “fixed do”? Or perhaps they train themselves to imagine a bass clef. In the second scenario, the entire “fixed do” system suffers a major cave-in, only partly salvageable by invoking the “absolute pitch is irrelevant” clause. Because the “fixed do” user is so hard-wired to visual symbols, he cannot admit that, effectively, his “do” — or “re” in this case — has moved. iii) Clef reading instrumentally. This is just an extension of the vocal situation, complicated by what is probably taken by many to be the central challenge – how to get the sounds out of a piece of machinery. Such a challenge, however interesting from a technical point of view, has no bearing on the “fixed do” question. Again, the “fixed do” syllables have no connection with the process. As described earlier: the mediated, instrumental performance has been elevated to the status of the real “meat and potatoes”, the supposedly true hallmark of the real musician. Unfortunately for the “fixed do” diner, the main course has gone missing. iv) Transposition instrumentally. The absurdities which emerge in vocal transposition become more and more obvious here, since any idea of applying “fixed do” syllables immediately trips over the dilemma of having to represent either the written symbol or the sounding pitch. I do not know enough about “fixed do” to say how this problem is resolved, but it seems to me that, either way, the syllables must be more of an encumbrance than a help. Perhaps one would be better off just dropping the whole solfa thing altogether. And that, I suspect, is what most “successful” students actually end up doing. Return to Shangri-la-la. i) Clef reading vocally. Clef reading was originally used as a means of avoiding ledger lines. In “movable do”, the approach is as simple as it is old: just identify the solfa syllable of the first note and press go. Whether you are singing an A or a C is immaterial, and whether you know which pitch you are singing is similarly immaterial. If a student has much more experience with one particular clef than the others, as is almost always the case, extra care will have to be taken with accidentals. ii) Transposition vocally. Since “movable do” is not tied to any concept of absolute pitch, transposition is determined by nothing more than one’s physical capacity to produce the notes. iii) Clef reading instrumentally. Because “movable do” is a relational system, the names tell one everything one needs to know in order to undertake transposition at, say, a keyboard. Again, one must ask a question about who actually needs to do this, and to what extent the problem itself is a product of curriculum-building rather than a response to a need most musicians will experience in real life. It is easy to say that it is important; the real issue is whether it is important enough. iv) Transposition instrumentally. Ditto. By singing the “movable do” syllables while playing, and by applying the principles according to which the semitones are located, even musical novices can be up and running with all of the scales and modes, starting on any pitch, in a short time. This is valuable when one is at the early stages of cultivating the aural imagination. Beyond this, the more sophisticated the demands in this area become, the more I get the sense that the skill no longer answers a widely felt need, or perhaps any need at all. Another area where “fixed do” runs into a collision with perception is enharmonic spelling. EXAMPLE 14 is the beginning of the “Marcia Funebre” from Beethoven’s Piano Sonata, Op. 26. The piece begins in A-flat minor, modulates to C-flat major, at which point the notation switches to B major. In bar 8, the top line jumps a doubly-augmented fourth from the pitch C-flat to the fifth note of the C-flat scale, namely G-flat, but notated as F-sharp. Presumably, the “fixed do” singer is constrained to call the note “fa”. From the “movable do” point of view, one can only marvel at the degree of indoctrination it must take to convince oneself that “fa” is the dominant note. For the benefit of the more orthodox believers in absolute pitch, it is also of some interest to point out that Beethoven’s piano was about a semitone lower than the much-trumpeted A440. (see Rosamond E.M. Harding, The Pianoforte: Its History Traced to the Great Exhibition of 1851, 2nd ed., 1978, p.213 – A somewhere between 415 & 427.7). So what does one call a C-flat-flat? Now, let us dare pretend for a moment that the supposed “fixed do-ite” is listening to the piece, rather than looking at the score. 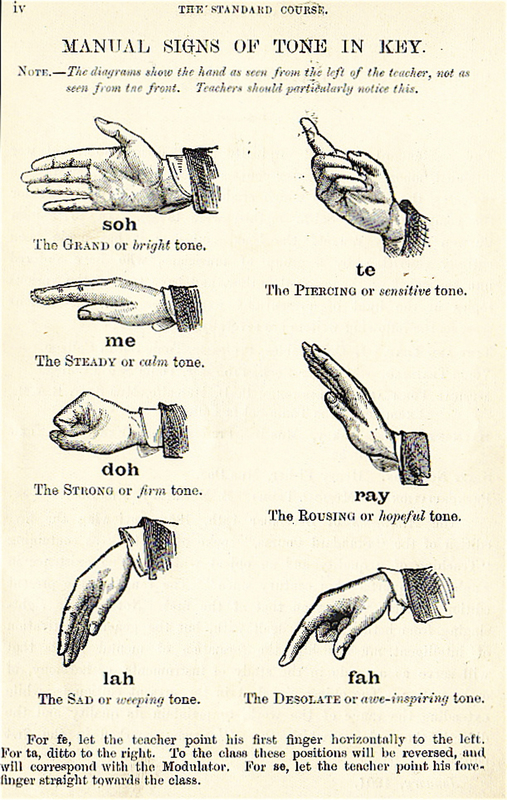 Reckoning with the experience of the ear (perhaps in the context of a melodic dictation test), as opposed to that of the eye, one sees (hears, actually) that the issue simply dissolves, since the listener will unquestionably refer to the fifth as “sol”. As a system in which visual and aural information lead to opposing conclusions, “fixed do” is literally nonsensical. More to the point, it is dishonest about the nature of musical experience. One wonders whether teachers of “fixed do” realize the subversive nature of this directive. The Beethoven example involves enharmonic respelling without a change of harmonic function. EXAMPLE 15 & EXAMPLE 16 show two instances where the respelling is related to a dramatic harmonic shift. In the first, from a Schumann song, the tonic of A-flat major becomes the mediant of E major. The “movable do” person sings “do-mi” on the repeated pitch. In a reverse of the Schumann procedure, at the end of the bridge from Jerome Kern’s All the Things You Are, G-sharp “mi” becomes A-flat “do”. It is difficult to explain to someone using as unresponsive a system as “fixed do” just what the “movable do” singer gets out of changing the names in this way. Sceptics will just have to accept that there can be an affective, psychological, and perhaps even a physiological response to the verbal articulation of a note’s “spin”. In point of fact, the invocation of equal temperament in defence of “fixed do” amounts to little more than a variation on the old absolute pitch shibboleth, and constitutes a vain attempt to make a virtue of the rigidity of one system by partnering it with the rigidity of another. EXAMPLE 17 & EXAMPLE 18 show a couple of short excerpts which were cited as proof, by the U. of T. professor referred to earlier, that only “fixed do” can manage the music of this century. Thinking back to the Modus Novus preface, however, we see that this assertion has no merit. Although various solmisations are made possible through the “movable do” method (I have supplied one for each example), it is the very flexibility of “movable do” which makes it a more powerful tool for dealing with contemporary music than “fixed do” could ever be. And even if the “equal temperament” claim were not hollow, consider what, by implication, “fixed do” would relinquish as a consequence. Any musically sensitive vocalist will verify from direct experience that, in singing a chromatic scale or a portion thereof, it transpires that some semitones are larger than others. In the days before the piano, with its “one size fits all” tuning system, it was a commonplace that the size of the semitone depended on the context. And although this fact was widely documented several centuries ago, it is still the case that, when a piano is not around to impose its intonational strait-jacket on the proceedings, the tuning becomes a much suppler affair than the 12th root of 2. EXAMPLE 19 & EXAMPLE 20 illustrate the large semitone in its natural habitat. The first is taken from Cherubino’s aria, where the ascending chromatic line from “mi” to “sol” is repeated from “re” to “fa”. Mozart’s use of D-flat rather than C-sharp not only reflects the sequential symmetry of the line, but also fixes the location of the large semitone in the middle of the ascent. From the singer’s point of view, this understanding of the large semitone is crucial to correct intonation. For an overheated adolescent, as Cherubino is, this sophisticated demonstration of the use of the large half-step is decidedly heady stuff, and perhaps Mozart composed the line deliberately so as to delineate Cherubino’s character more deeply. The opposite procedure is seen in example 20, in which the notation does not reflect the symmetrical construction of the line. The reason, again, is the necessity of showing the location of the large semitone. Thus, where the descent C-B-B-flat-A in measure 6 might presumably have been answered, in measure 14, by B-flat-A-A-flat-G, the composer chooses instead to use a G-sharp. The reason is that A is the dominant note of the scale and does not, under normal conditions, allow a chromatic semitone (i.e. one using the same letter) below it. Another way of looking at this is to say that A-flat is lower in pitch than G-sharp and, in this context, it just sounds wrong. To be sure, this whole discussion presumes a level of perception which may be beyond the level of some readers. However that may be, “movable do” at least provides room for the ear to develop towards achieving that level. In contrast, “fixed do” and its weird sister “equal temperament” remain sullenly silent throughout. Because the “fixed-do” system has no basis in cognition, the use of the “fixed do” syllables offers nothing by way of mental reinforcement, or perceptual redundancy. It is precisely this sort of redundancy which lies at the root, not only of language acquisition — a close parallel to what is being discussed here — but of learning itself. Indeed, “fixed do” has no basis in any musical processes either, beyond one’s ability uncritically to report on which letter-names are currently appearing on the page. This would be a great starting point for an optically- sensitive computer, but not for a human being. Once again, it is difficult to escape the idea that “fixed do” attempts to approach the human imagination as a sort of machine manqué. In the “movable do” system, there are often several valid sets of syllables possible. A simple example is the use of F-sharp in the key of C: is it “fi”, or is it “ti” in the key of V? Both answers might be correct, depending on matters of proportion, rhythm, and so on. But another critical factor in this process is the perception of the person doing the singing. “Movable do” not only paints the singer into the picture, but it allows the singer to try different solutions, different analyses, and different points of view, perhaps over a period of years. Something like looking at different facets of a gem. Perhaps this is part of what is meant when we talk about living with a piece for a long time. “Movable do” is a system which accepts the possibility of one’s personal growth as a musician. At the rate of a single one-hour class per week spread over two years of 26 weeks per year, minus 8 hours for exams, the typical university student has a grand total of 44 hours to get his or her ear together (This statement represents the situation at the University of Toronto). One has to question whether, for many, this is really enough to accomplish much of anything. On the other hand, there can be little doubt that, given the amount of time available, “movable do” will achieve better results than “fixed”. One reason is that, in the “movable do” system, a clear distinction is made between aural and visual information, so that exercises may be developed to address them in an organized and coordinated manner. Second, because “movable do” is based on the cognitive capabilities of the ear, and not the eye, and because it places no premium on absolute pitch, the student can practice anything anywhere — a rather roundabout way of saying that, just like ordinary people, the student can just go ahead and sing. It is the use of the solfa names which qualitatively changes the experience. Third, by becoming accustomed to the application of specific names to specific aural images, the student develops a powerful cognate skill with respect to dictation and transcription, since to be able to sing back an unknown piece, or even a known one, with solfa is a critical step towards being able to write it down. It is for this reason that “movable do” should be used as the basis of dictation courses as well as sight-singing and ear-training. “Fixed do” has nothing to offer to this discussion. Since it already posits a notational model, it is useless for dictation. The sole point on which a defence of “fixed do” as a tool for dictation rests is absolute pitch, long since abandoned by many of its spokespersons. In any case, the appeal to absolute pitch has always been a form of “snake-oil” pedagogy. For the vast majority of students, there is no indication that it is achievable, nor that it is of any musical, as opposed to freak- show utility. “Fixed do” is a difficult system, but for all the wrong reasons. Buttressed by unfortunate statements to the effect that university students are not children (thanks again to my esteemed U. of T. colleague), followers of “fixed do” have unwisely created an elitist line of demarcation, one based on the most fundamental pedagogical error of all with respect to both pitch memory and pitch relationships, namely the denial of experience. And further on the snake-oil theme, it is interesting to note the public misconception that “absolute pitch” is a true indicator of musicality, when in reality it might amount to little more than a variation on the “idiot savant” phenomenon. It is unfortunate that “fixed do” — notwithstanding the expedient claim that absolute pitch is irrelevant — has assisted in cordoning off what we do from the aspirations, and ultimately the interest, of “ordinary” people. A final point on the curriculum business concerns the ease of switching from one system to the other, since students come from such a wide variety of backgrounds. In my experience, it is easier to switch from “fixed” to “movable” than the other way around. The reason is simply that, since “fixed do” is not a system, insofar as it makes no demands on the cognitive processes and contributes nothing to the development of those processes, it is fairly simple just to leave it behind. With a few hours of work, even someone under the impression that they have learned “fixed do” will discover to their relief that it can be scuttled permanently. Perhaps the central goal of all teaching, of music or anything else, is to produce students who can think and act for themselves. It is to this end that hours upon hours are devoted to analysis, memorization, discussion, debate, and simple reflection. In university music programmes, a great deal of emphasis is placed on the development of analytical skills, in the hope that such skills will enhance all aspects of a musician’s work, from teaching, to conducting, to criticism. Perhaps the greatest virtue of the “movable do” system is that it participates in and reinforces other forms of analysis; indeed, the simple decision about which syllables to use is analytical in itself. Moreover, experience demonstrates that musicians using “movable do” develop prodigious memories for music. This is hardly surprising, since by singing the pitches of a melody and coupling these at the same time with analytically determined mnemonics produces a situation where, in effect, the singer is operating with twice the brainpower of either a “la- la” singer or a user of “fixed do”. The “fixed do” method was arguably one of the great miscalculations in the history of music teaching. When one considers the importance of analytical skill in developing musicianship, it is astonishing that, for many, the opportunity to use the solfa system as a learning tool was squandered in this perceptual wasteland. It is almost as if “fixed do” has found its way into the present day curriculum through an entirely different route than that followed by other disciplines; and in fact I believe this to be the case. “Fixed do” derives from a time and a set of conditions which favoured the mass production of musicians who were capable of acting as precision cogs in a corporate machine — an orchestra. The method was never designed to encourage thought or analysis, having been biased from the beginning towards the nurturing of platoon-like instrumental reading, in which “successful” students were those who ended up relating to music solely through their instruments. In the nineteenth century, with its proliferating orchestras, opera houses, and amateur audiences, this may have been a pragmatic response to an actual set of circumstances. In 1997, however, “fixed do” advocates are left with a glaring contradiction between the desire to impart analytical skills on the one hand and, on the other, recourse to a retrograde ear-training pedagogy based on a denial of precisely the same thing. Moreover, under the weight of the “three tenors” (especially Big Lucy) and other parallel developments (see Norman Lebrecht’s When the Music Stops: maestros, managers, and the corporate murder of classical music), one must question whether and to what extent the rigid and unthinking fixed-do regimen is preparing students for a world which, for most, will have ceased to exist by the time they are ready to enter it. Perhaps when the smoke from the demise of many of these nineteenth-century institutions clears, we will see music assume a more human scale, in which the development of the mind is given precedence over the small-muscle Olympic training that passes for much of music education at the present time. Needless to add, it is “movable do”, with its roots in the voice and in the very processes of musical perception, which can make a central contribution to any such trend.